Who Are Genetic Testing Laboratories? Genetic Testing Laboratories are your experienced, Australian based DNA testing service provider offering cheap DNA testing services and an affordable paternity test. Our home paternity test includes testing alleged father, mother and child and starts at only $295 . There are no hidden fees. Your DNA test results are conclusive and accurate because our testing is carried out in highly accredited laboratory to ensure you get results you can trust. With GTL, you can have the assurance of speedy results, issued in just 5-7 working days from receipt of your samples at the Lab, because our short turnaround times mean less stress for you. If your case is urgent, we also offer an express DNA testing option for our paternity and maternity tests which will enable you to get those results in just 3 working days (from the moment samples reach the laboratory)! The service is available for just a small additional fee. Discreet and plain packaging for your DNA kit. DNA kits sent with Priority Mail and received in just 2-4 working days. Testing of the Alleged Father and Child with Mother optional. Our Premium Quality Paternity Test includes comprehensive genetic markers. Results are 100% accurate if the putative father is not the biological father and 99.99% accurate if he is. Your results will be kept confidential and emailed in 5-7 business days from receipt of samples at the Lab. Legal tests and home paternity tests accredited by ISO 17025. Quality is in our DNA. 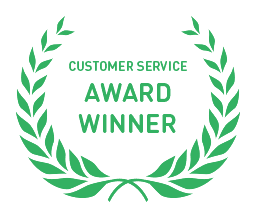 We maintain the highest levels with every DNA test to provide you with a service that is faultless. With the highest, globally recognised accreditations, you can be assured that we’re operating to the highest standards in the industry. We are a local DNA testing company with a team of experts ready to answer all your questions and guide you throughout the process. GTL is based Australia with offices in Springwood, Queensland, Victoria, Perth and New South Wales. From our local offices, we assist all our Australian clients. Most of our DNA testing including our home paternity testing, DNA profiling, sibling DNA tests and the whole range of relationship tests require a quick and simple sample collection using orals swabs which we provide in a kit. Our at home DNA paternity test includes easy to follow instructions, sampling kit and return address envelope. Samples are collected in the privacy of your own home. Results are available in 5-7 working days and are highly accurate with results up to 99.999999% for an inclusion. We are an international company and can provide our services not only to Australia-based clients but to clients anywhere in the world. Whilst most of our tests simple require mouth swab samples, we also offer the option to test other samples such a hairs or stains of biological material. You may view a full list of samples here. GTL Australia’s DNA paternity testing is the most powerful tool available to determine human identity. In addition to the high-quality DNA paternity tests offered, GTL has some of the lowest prices available in the industry. You can feel reassured that your DNA test is handled by the most competent scientific team. All this is offered at the lowest cost available. If you process your order on any working day before 4 pm we will send out your kit on that very same day. We provide you with step by step instructions which make the whole procedure a walk in the park. If you have chosen a legal test, the cost of posting the kit to your chosen doctor for sample collection is at no added cost. GTL Australia offer the lowest priced NATA accredited legal DNA paternity test besides a vast range of clinical and molecular tests. The testing fee includes your DNA kit that is sent by express post to your chosen health professional and all the paperwork you need to establish a legal chain of custody for the DNA samples. Results are valid for legal requirements within Australia. 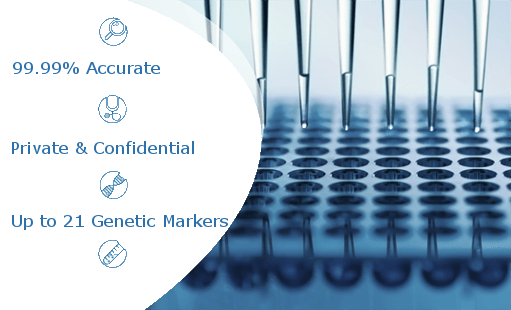 For more information about our testing portfolio, please visit our full list of DNA testing services. Results were very quick from the time of delivery to the lab. It took only 5 days and that was over the Christmas holidays! The service was beyond my expectations, thank you! Thank you for fast results and excellent communication! Very satisfied! Even more thrilled that I received the results earlier than expected! Thank you! You saved my life. I’m not the father! Very fast results came before the date said. Results were very quick from the time of delivery to the lab. It only took 5 days and that was over the Christmas holidays! Calle 1 Col. Educatcion, CP 04400, Delegacion Coyoacan, Mexico D.F.